At February’s MTA LIRR Committee Meeting, MTA Chief Development Officer Janno Lieber discussed plans for enhancements to be made at Penn Station to improve customer access, convenience and safety. The critical infrastructure project focuses on improving access via the 33rd Street Corridor and 7th Avenue entrance. 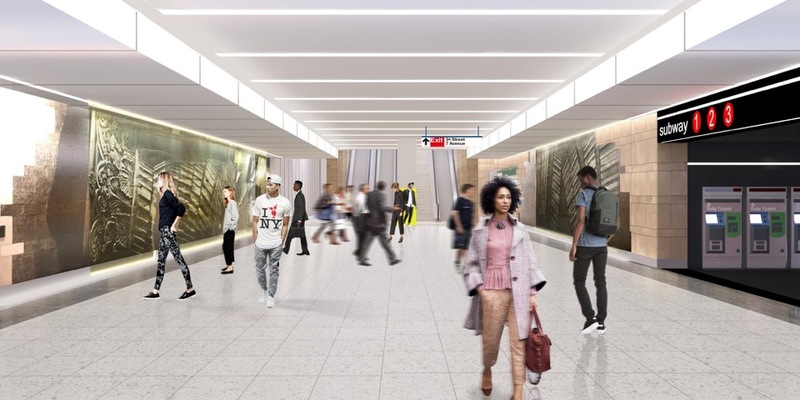 The redesign of the corridor, which will widen the concourse and increase its headroom, will result in a significant decrease in congestion and include notably higher ceilings. 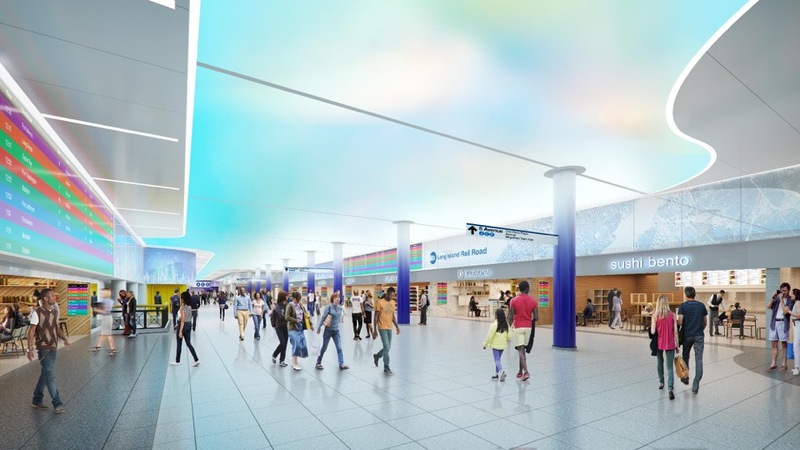 The new concourse will feature brighter lighting, artwork, new wayfinding signage, ticketing and passenger information systems. 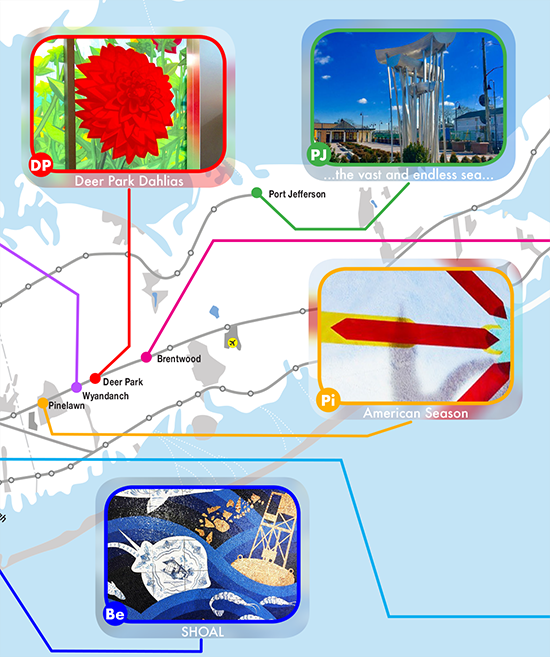 The overall cost of the project is currently estimated to be $590-$600 million with $170 million provided by MTA and the remainder funded by New York State. 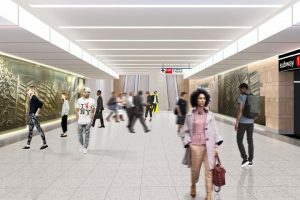 The 33rd Street corridor will be widened from 30 feet to 57 feet for improved circulation, reduced crowding and improved safety, and headroom will be raised to 18 feet. 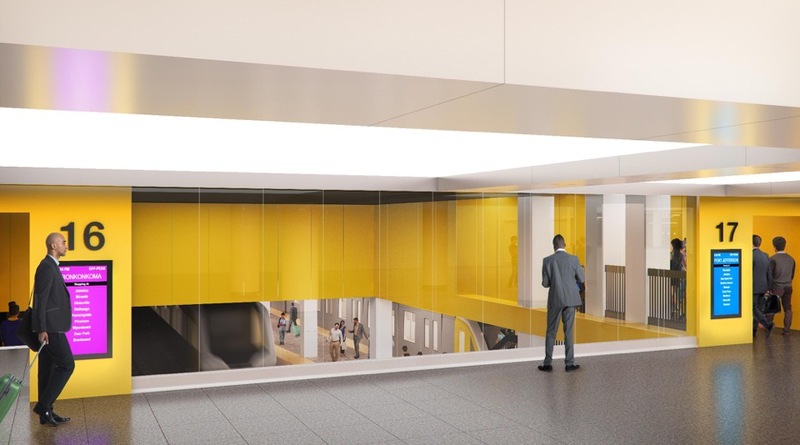 Digital signage and finishes will be added, and views from the concourse to LIRR tracks will be improved. 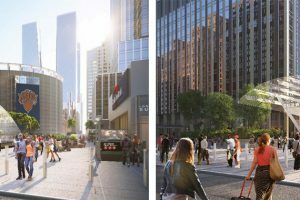 Retail storefronts will be pulled back by 20 feet, thanks to a real estate swap with Vornado Realty Trust, which is building the corridor for a fixed price. 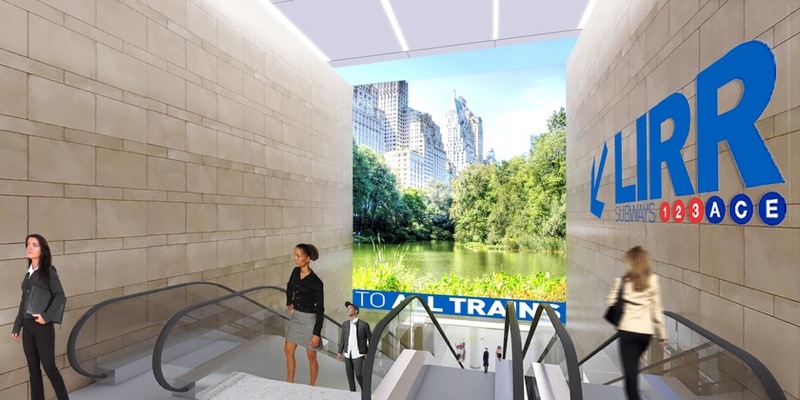 There will also be improvements to the existing 34th Street entrance and concourse, which will improve the customer experience for subway as well as railroad passengers. Work will be staged to minimize impact on customers. A new entrance to the corridor will be completed by December 2020. 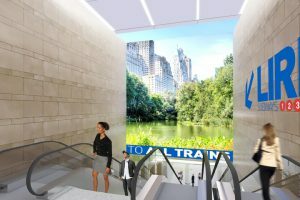 The entrance, from 33rd Street near 7th Avenue, will lead directly to the concourse, the busiest area in Penn Station, providing vertical circulation into the widened corridor. 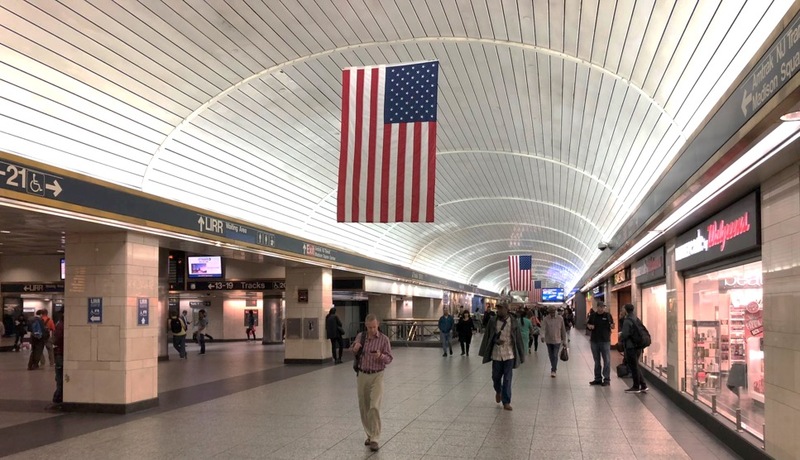 The entrance will make Penn Station safer and more secure, will improve pedestrian circulation and will improve the customer experience for LIRR passengers. 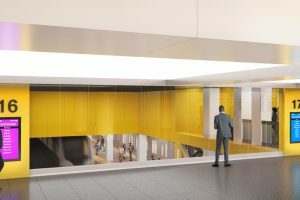 The new Moynihan Train Hall and the new entrance to the LIRR concourse at Seventh Avenue are expected to be completed concurrently with Moynihan Train Hall, by late 2020. 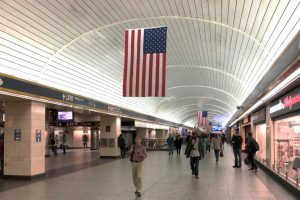 The widening of the corridor and the raising of the ceiling are scheduled for completion by December 2022; the new Moynihan Train Hall and the new entrance to the LIRR concourse at Seventh Avenue are expected to be completed by December 2020.